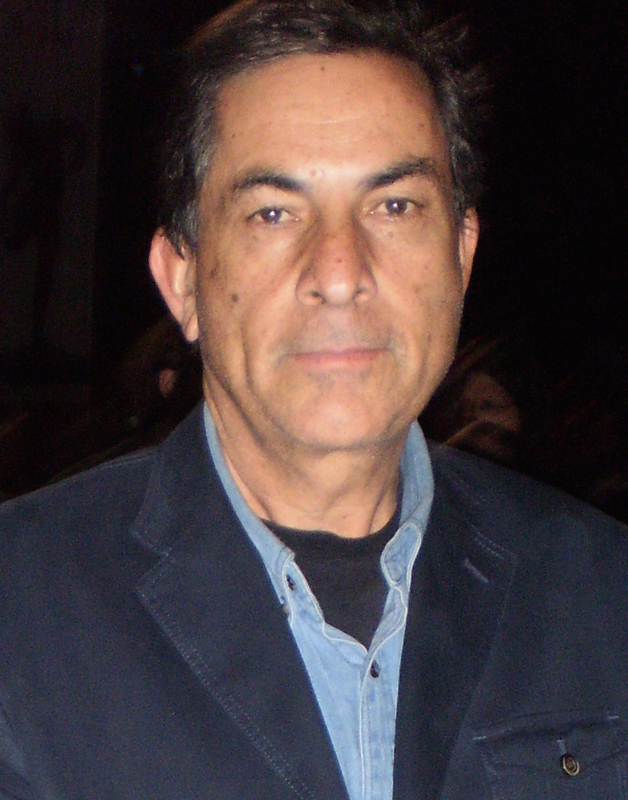 Gideon Levy is a veteran columnist for Haaretz, a leading newspaper in Israel. He is a prophet, a man passionately committed to telling truth not just to power, but to people. As part of his mission, Levy came to Washington last week to speak at the National Press Club. Levy’s speech was part of an all-day conference on the Israel Lobby organized by the Institute for Research/Middle East Policy (IRMEP) and the Washington Report for Middle East Affairs (WRMEA), two major U.S. progressive organizations. Phillip Weiss reported in Mondoweiss: “Levy said he had come to plead with the American public to take control of Israel/Palestine policy before all is lost”. At first, Levy had assumed the invitation was to speak to AIPAC, the pro-Israel organization which has firmly entrenched itself into the American fabric as the premier Israel lobby organization. He quickly realized he was to speak not to AIPAC, or even the Anti-Defamation League, but to a conference which is “crucial and so important” in sounding the alarm about the Lobby. 1, “We deeply believe we are the chosen people. Then we have the right to do what we want. 2, Never in history has the occupier presented himself as the victim. And not only the victim– but the only victim around. Living with the “systematic dehumanization of the Palestinians” is not a sickness unique to modern Israelis. The U.S. public does not see others as we would want to be seen, which makes it easy for the Israel Lobby to lead our public further into the stupefaction of a racism that does not see occupation as the evil it is. The 2016 U.S. presidential campaign began in earnest this past weekend with all consistent slick talk from candidates addressing the self-absorption of a public waiting to be sold new products. Former First Lady of Arkansas and the U.S., former U.S. Senator, former failed presidential candidate, former U.S. Secretary of State, Hillary Clinton, launched a campaign of appeals to American self-absorption shaped by product-peddlers. As the Republicans roll out their campaigns, it will become clearer, with each new launch, that what they are peddling is Not-Obama. Not an encouraging future for the next 18 months, so just hit the mute button. This too, will pass. Meanwhile, there is a country to run and problems to be confronted. Currently, it is Barack Obama who steers the ship. Fortunately, six years into the job, he is a leader who “gets it”, a leader who knows how the Israeli government does nothing to lead its public out of the wilderness of racism and stupefaction. So far, it appears Obama will do what he can to confront the “systematic dehumanization of the Palestinians” and continue to choose diplomacy over military action on the world stage. His biggest challenge is to make those choices in spite of the restraints U.S. voters have placed on him with a Republican-run conservative Congress. The few prophetic voices we have, like Gideon Levy, will continue to remind us of the false prophets who have led us into the darkness. I and some of my friends are seeing the last two years of the Obama Presidency as productive. He is freer (as was Harry Truman when the Republicans took over Congress during his last two years in office), to propose and do the things he felt deeply about. That way, if anything goes wrong, it will be the Republicans fault, since they are in power. The Republicans then (and now) are doing anything and everything to destroy Obama’s policies and his person. It may backfire. God, give Obama the strength of is convictions and may he hold Bibi to his ill-chosen words during the last days of the Israeli campaign. Reassessment of our relationship, indeed. But bending over backward to give them more reassurance than they deserve. US: virtual dehumanization of racial minorities and the poor: black, brown, even Asian. National politics and policy concerned only with a white (shrinking) middle class and the 1%..
It’s the billionaire zionists in the US, like Sheldon Adelson and Saban, that have bought our Congresspeople with their campaign donations–on the condition of supporting Israel no matter what crimes it commits– that have made the US helpless in taking a stand for justice on this issue. As long as we have a plutocracy, where money rules, things won’t change. Also, our mainstream media, like the NY Times and Washington Post, are also staunchly pro zionist and protect Israel by censuring the reality of israeli apartheid,ethnic cleansing, and its brutal occupation. Levy says “Israel is a lost case.” That’s what former Ambassador Alon Liel told a group in March. He added that we would see thousands of Ashkenazi Jews leaving Israel in the next six months. He begged them to urge international pressure on Israel. Thanks, Jim. Apparently, Levy agrees with Liel. Jim, you have another GEM. Thank you! I cannot say it more clearly than the previous three writers, especially Charlton Pice’s. I would only add that Israel and the US are also alike in genocide of the Palestinians and the Native Peoples. Like Levy,, I have no great hopes for Obama…and yet I work for the resolution of this debacle and the freedom of the Palestinians. As it becomes clearer that Israeli policies threaten US security, the tide will turn. Bibi’s efforts to scuttle any Iran deal and propel the US into another military adventure under false pretenses have woken many Americans. Now we remember his cheerleading for war on Iraq. Further, the long touted claim of “only democracy” is proving hollow. We can see that Israel does not share Americans’ values – or Jewish values, or any other human values. From the ethnic cleansing of 1948, to the Apartheid wall, to the fear that Arab Israelis might vote “in droves”, Israel has betrayed not only Americans, but idealistic Jews all over the world who were duped by Zionist propaganda. Bibi pretended his remark that he’d never allow a Palestinian state was misinterpreted, but it was not. He has always said that to his supporters, but usually in Hebrew. How should Americans feel, having invested so much time, energy, and good will into the “peace process” only to discover that Peace was a non-starter? BETRAYED.